The scandal surrounding Mylan’s price-hiking of its flagship EpiPen epinephrine auto-injector was the news of last summer, continuing to grab headlines as the months went on. The debate around generic competition to provide patients with a more affordable alternative has continued to rage on, and now the FDA is looking to crack down on loopholes preventing such products from reaching the market. The active ingredient of EpiPen, epinephrine, has been off-patent for decades, but it has been the delivery device which has caused problems for generic competitors with regulators. The FDA has now released new guidance which states that generic copies with some design differences will be considered for approval as substitutable products, as long as the differences do not prevent patients from using the product in the way it was intended. "Under this guidance, so long as the generic applicant is able to demonstrate with data, where appropriate, that differences in design of the generic product do not affect the clinical effect or safety profile when the generic is substituted for the branded product, the generic product can be approved as a competitor to the branded drug where all other requirements for generic approval are met," said FDA Commissioner Scott Gottlieb. 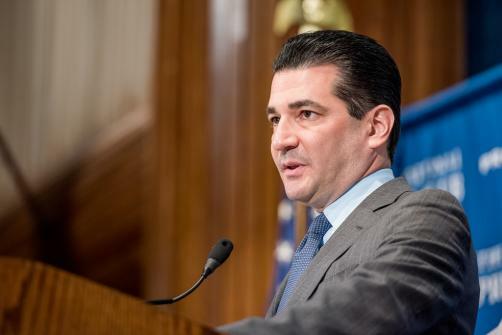 Gottlieb added that the agency is working on guidelines to determine the similarity of generic devices to their reference product, and to what extent they can be used to substitute them by clinicians. It is interesting to note that nowhere did the guidance mention specific product or device names, least of all Mylan’s EpiPen, instead referring to a category which includes devices such as metered dose inhalers or auto-injectors.